The EUR/USD currency pair continues to face strong resistance around the 1.1300 level despite recently surging to trade above 1.1320. The current pullback has taken the pair just above 1.1300 but the momentum seems to be with the bears with the pair currently facing a trendline resistance around 1.1300. The uncertainty surrounding the Brexit coupled with recent reports that some ECB members are doubting the projected recovery in the second half of the year has also weighed on the Euro thereby handing the greenback the advantage. In addition, the US Dollar continues to draw strength of more promising economic data with the Jobs data continuing to impress while jobless claims decline week after week. Nonetheless, the Euro could still manage to strike back against the greenback after the US Trade deficit missed expectations whereas the Euro inflation data came out as expected. 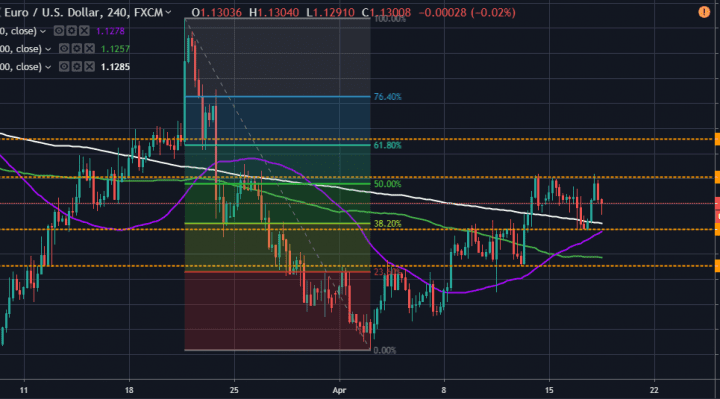 From a technical perspective, the EUR/USD currency pair continues to trade within a short-term upward trending channel, which is the force behind the current rebound following the late March to early April plunge. However, the top now appeared to be more flat, which suggests that there could be a major pullback that could take the pair down towards 1.1280 again. As such, the bears will be targeting profits at around the 1.1275 just below the 38.10% Fib level whereas the bulls will hope that the pair continues its surge towards the 1.1320 level, which is just above the 50% Fib level. 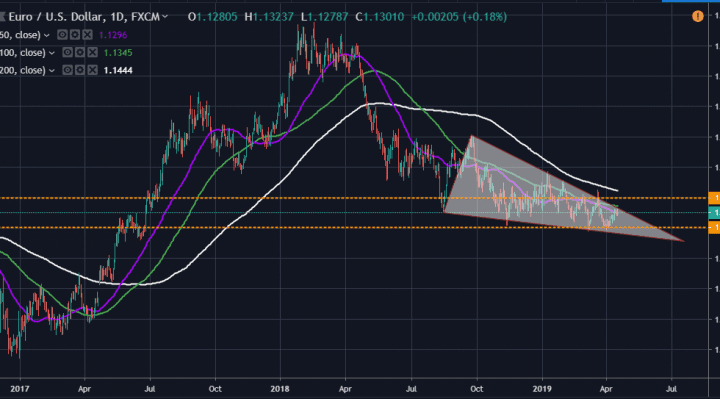 In the daily chart, the EUR/USD currency pair appears to be consolidating within a descending symmetrical triangle formation, which suggests that there could be a major bearish breakout soon. As such, the bulls will be targeting for profits around the 1.1400 level in the long-term with the hope that the current rebound continues its journey to breach the descending resistance line. On the other hand, the bears will be looking towards a continuation of the current trend, in which case, a pullback would be inevitable and this would trigger long-term profit opportunities at around 1.1200 level. In summary, the EUR/USD currency pair appears to be headed for an immediate pullback following the recent recovery, which implies that the bears have control.